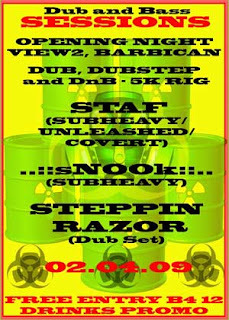 Thurs 2nd April 09 We're throwin a Party! 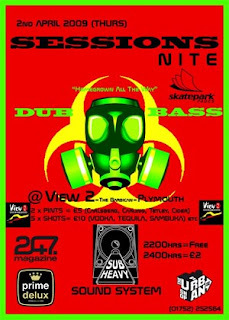 (along with some friends inc our mate sNOOk) at View2, The Barbican in Plymouth. Tunes will be from Dub / Dubstep / into Drum n Bass on a 5k+ Sound Rig (SUBHEAVY), and its all homegrown local talent! We've got FREEBIES galore lined up (1st come, 1st served), Ooh did we mention a DRINKS promotion? Do you wanna get Dirty Smart?